I did it! 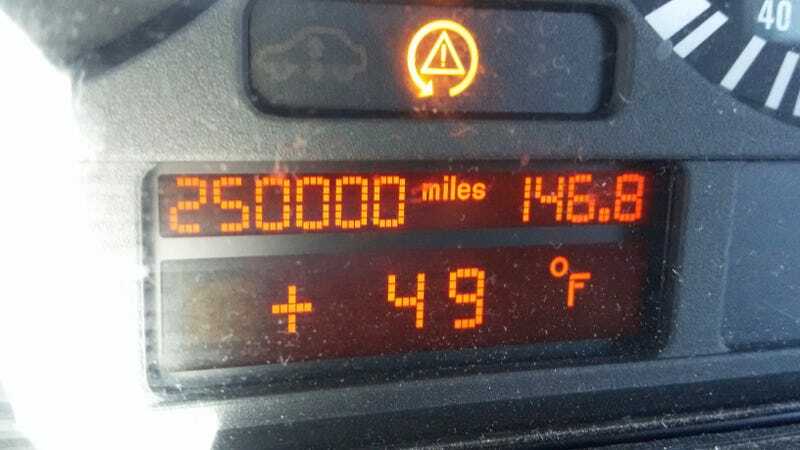 Three years and 12k miles after purchase, I took my 2000 528i to 250k miles! Going into it, I decided that was all I wanted out of the car. It could explode on the side of the freeway the mile after for all I cared but I wanted to at least be able to say I took it to 250. This car has more than delivered with no sign of stopping! I was planning to do an Oppo Review™ to coincide with this milestone but I think at this point it’d be impossible to write it unbiasedly.